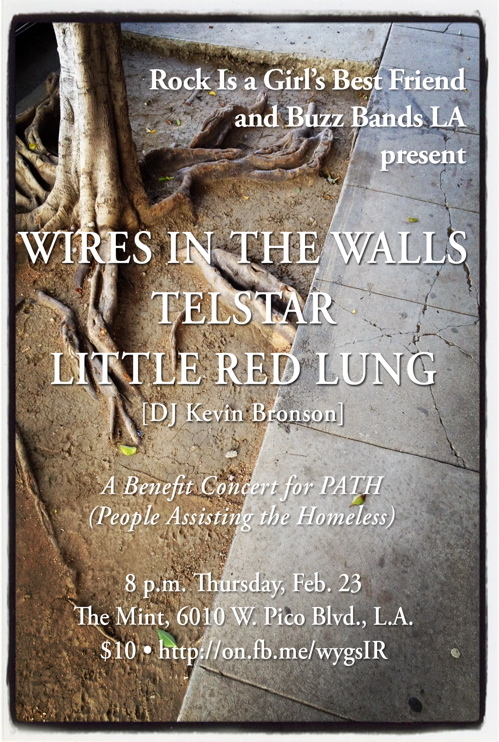 Please join Rock Is A Girl’s Best Friend, Telstar, Wires In The Walls, Little Red Lung and Kevin Bronson, for a special benefit concert to support LA’s homeless population, Thursday, February 23rd at The Mint. 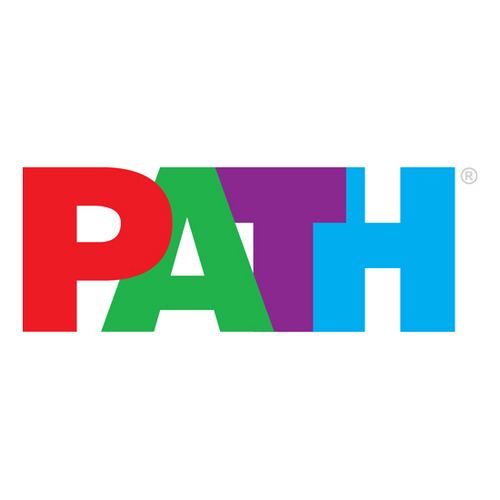 All proceeds from the door will be donated to PATH (People Assisting The Homeless). I was on a conference call while driving to a show in downtown Los Angeles, during an unseasonably cold December night. The show was taking place at a venue that was new to me, so I enlisted the help of my vehicle’s GPS to navigate. “Turn left onto South Boyle” the GPS instructed. “Left onto Whittier Blvd” the digital voice continued. “Guys – I’ve gotta go!” I interrupted our conference call and hung up abruptly. My GPS routed me directly through Los Angeles’s Skid Row, one of the largest populations of homeless people in the United States. It’s estimated that more than 4,000 people sleep on the streets of LA’s Skid Row every night. I didn’t hang up the phone out of fear. I’ve walked through the area at night previously. I hung up the phone out of respect. The content of the phone call was business. It was important. Yet, my mind could not handle the juxtaposition of what I was seeing on the streets with the discussions about business ringing in my ears. There was a van in front of me, driving exceptionally slow. I watched people set up their tents. They have a system. People seem to be well aware of their individual role in the community. During my drive, I witnessed how LA’s homeless population works together as a means to survive. The slow-moving van in my path forced me to take it all in. “Look at what’s happening here. . . This happens every night. . . You need to do something,” thoughts raced through my head. By the time I made my way through the area, I had witnessed a small city being built before my eyes. “What can I do, beyond what I’m already doing?” I pondered as I continued to make my way toward the venue. I felt so blessed. . . and so responsible. My life is exceptional. Everything and everyone I’m grateful for sparked in my mind, rapid-fire. I couldn’t keep up with my thoughts. “I just turned up the heat in my car, on my way to a show, to have drinks with friends, and enjoy an amazing night of live music. I need to do something. . . ” So I called upon some of the friends who popped into my mind as I was giving thanks for all that I have and the people who contribute so greatly to my life. “What do you think about doing a benefit concert, in support of LA’s homeless?” I asked. One-by-one, and without hesitation, they agreed. 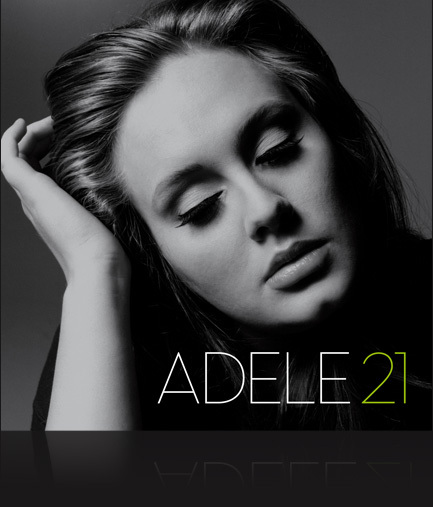 Also among those I gave thanks for that night is YOU. We’ve shared live music experiences, anecdotes, and #overheard humor here, on Twitter, and YouTube. Many of us have met in person and cultivated friendships that extend well beyond a “like” button. I would love to share this evening with you, my community, as we lend much-needed support to LA’s homeless community. Details about the artists, charity, and venue are below. Tickets are available here: http://www.themintla.com/show/detail/56568 Please share with your friends, invite them to join us. Thank you! Kevin and I initially met several years ago at a Buffalo Tom show at The Troubadour. At the time, Kevin was an editor/writer at Los Angeles Times. He knew more about the music scene in Los Angeles than most people I had encountered up to that point. We hung out long after the show ended, talking about music and bands including Mercury Rev, The Shins, and Beachwood Sparks. We’ve been friends ever since. Currently, Kevin heads up BUZZBANDS.LA, an independent website focused on music made and played in and around L.A., offering news, reviews, interviews and song downloads. Buzz Bands has become the go-to source for fans seeking what’s new and who’s cool. Kevin also hosts a weekly radio program on KCSN, Sundays 7pm – 8pm (Pacific Time). If you want to know what’s happening in music before it happens, this is your guy. It’s an honor to have Kevin DJ this event. LA-based quintet Wires in the Walls explores a textured space between Americana, anthemic indie rock, austere post-punk, and pop. 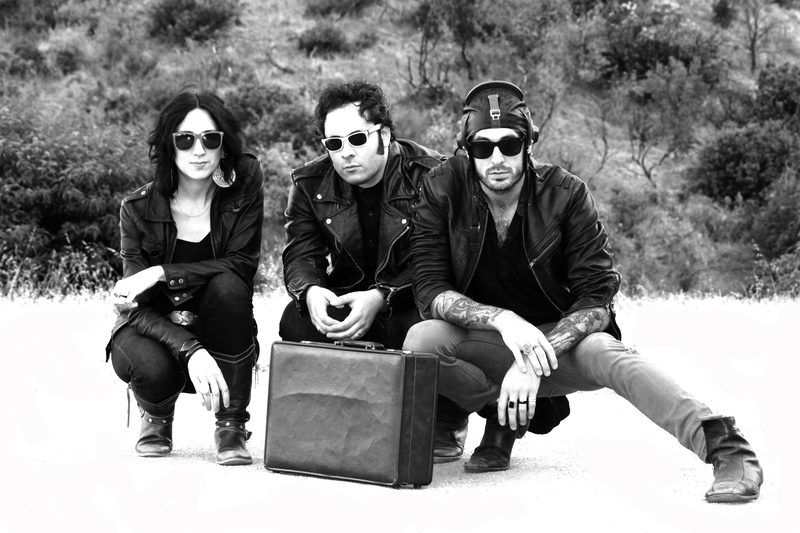 Since the band’s formation in 2009, they have played many of LA’s top venues and toured the east and west coasts, with their well-received 2010 EP “Call Signs” receiving local and national college radio play. Wires in the Walls takes a hands-on DIY attitude to their promotion, including the screen printing of all of their own merchandise. 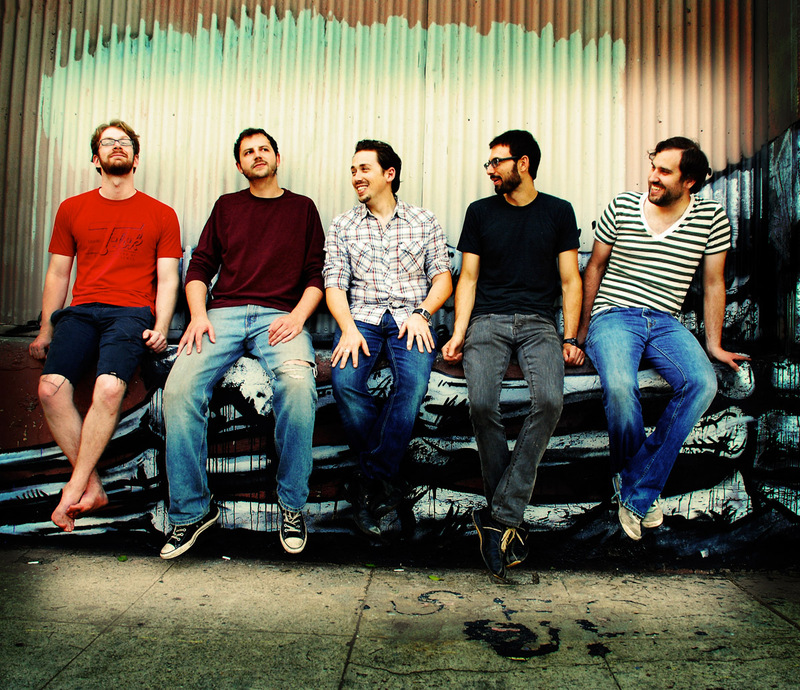 The band spent 2011 writing and recording their debut full-length album New Symmetry, released October 25, 2011. Wires in the Walls is: Warren Sroka (vocals/guitar – NYC), Nick Tracz (bass/vocals – upstate NY), Bryan King (drums/horns – Virginia), Dave Irelan (guitar/vocals – Oregon), & Dave Sicher (everything – Illinois). “We’re really excited to be a part of this show for a such a good cause. Los Angeles as a whole has been super supportive of us and our music throughout our brief life as a band, and so it’s great to be able to give back in some small way to the larger community. Plus the lineup is fantastic, so it’s like a double-whammy of awesomeness.” Bryan King said when asked about Wires In The Walls’ participation in this event. They are among my favorite people in the world. Chris Unck, Eva Gardner, and Stew Heyduk (“Telstar”) have “official bios” and credits that include P!nk, Feist, Mars Volta, Butch Walker, and Veruca Salt. Why do I love Chris, Eva, and Stew? They are amazing, kind, supportive, brilliant artists, not constrained by convention. They have a way of simultaneously existing in the past, present, and future, like a living time machine. The energy and spirit of their live shows has been the highlight of nights full of highlights. They’re playful, funny, and experts in creating, as well as participating in, the party. Chris and Eva are also talented visual artists and will be displaying some of their work during the event. I’ve written quite a bit about their music and live shows, some of which lends insight into the people they are, but none of which can substitute for you experiencing Telstar yourself. It was during a show at The Mint in 1999 or 2000 that I decided I wanted to work “in music”. There were only 8 or 9 of us at the venue. As I watched an unknown musician play in a nearly empty room, I had a strong feeling he would go on to be quite successful. “If I could get paid to do this. . . to experience music, help support it, and tell people about it. . . ” I resigned from my movie studio job the following week. As soon as the musician finished his set, I approached the man who booked the venue at the time. “Who was that? You need to book him here again,” I said. “I would love to keep booking him, but he doesn’t draw (an audience),” the man responded. “What’s his name?” I pressed. “Jack Johnson,” he replied. Needless to say, I have a long history with The Mint. It’s a wonderful venue, with a great team of people behind it. You can enjoy a clear line of sight to the stage from nearly any point in the venue. The bar is perfectly situated for optimal efficiency. They have great food. 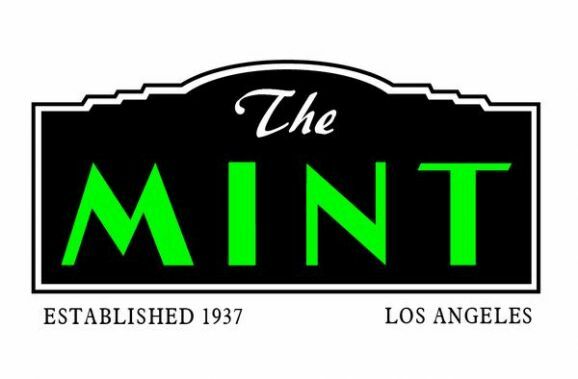 I’ve seen artists including Frank Black, Ben Harper, Jackson Browne, Joan Osborne, and Tom Morello play The Mint. What I love most about The Mint is the people who work there and their ongoing commitment to the community as a whole. There’s a sense of Southern hospitality at The Mint. If you’re there, you’re family. As an organization, The Mint is dedicated to giving back to the community. They’ve hosted numerous fundraisers and are generously opening their doors to us on Thursday, February 23rd as we come together to lend support to the homeless. This entry was posted in Benefit, The Mint, Ticket Giveaways, Tickets and tagged Benefit, benefit concert, Buzz Bands LA, charity, charity concert, concert, Concert Tickets, homeless, KCSN, Kevin Bronson, Little Red Lung, live music, music, PATH, Telstar, The Mint, Tickets, Wires In The Walls.